At Carolina Metal Carports we bring you great prices, excellent customer service, and a quality product. Our goal is to make sure every customer gets exactly what they need. We are one of the largest distributors of metal carports, metal garages, rv covers, storage buildings, storage sheds and metal barns in the US. Also remember that we can make you a custom carport to fit your needs. VA, WA, WV , WI and WY. 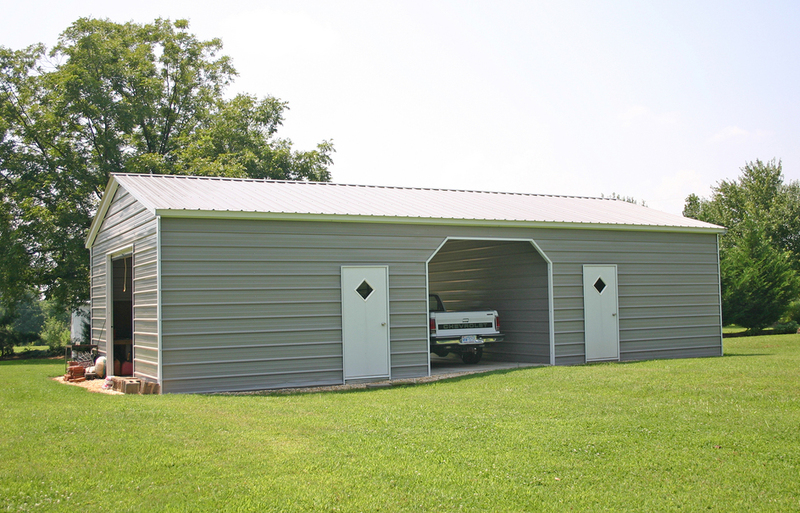 steel garages and metal barns including Seneca Barns, Carolina Barns, Horse Barns, Utility Covers, Steel Covers, Shelters, Steel Carports, RV Covers, and Steel Garages. We offer clear span covers up to 40' wide. We also offer 3 different styles of roofs Regular, Boxed Eave, and Vertical. We offer certified buildings that meets 150 mph winds and up to 60 Psf snow load. Certified carports and buildings are engineered to meet your states wind and snow loads. Our steel carports and buildings are also offered in both 12 ga and 14 ga framing. Our portable covers and carports are available in 13 different colors. Our steel covers are longer lasting than wood carports and more affordable than aluminum carports. Also ask about our do it your self carports. Our steel covers aren't your average cheap carports they are the top of the line in the carport industry. What sets us apart from other company's is our excellent customer service and knowledgeable staff with over 10 years of experience in the carport business we will make sure you get the right carport, building or garage to meet your needs. Be sure to check out our special carport and garage packages as well as our barns and buildings. Our carports and buildings are the most affordable in the business. They are the best priced carports, buildings, barns and garages per square foot you'll find. Virginia ,Washington, West Virginia, Wisconsin, and Wyoming is Great Prices, Excellent Customer Service, and a Quality Product.